Lotus Management, Inc. announces the purchase of Four Points by Sheraton Scotts Valley, CA, the first Four Points by Sheraton hotel in Santa Cruz County. Opening in the summer of 2018, Four Points by Sheraton Scotts Valley will host 128 rooms, 1,900 square feet of market-leading meeting facilities plus a boardroom with attached patio, full service breakfast dining, evening light bites and a large veranda surrounded by the upland slopes of the Santa Cruz Mountains and vineyards. Scotts Valley, CA is located 30-miles south of San Jose, six miles north of Santa Cruz and one-half hour from Silicon Valley. Hotel amenities include a 24-hour fitness center, a business facility and complimentary high speed internet. 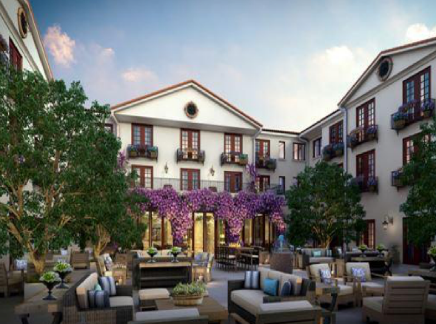 The hotel will feature the brand’s signature Best Brews & BBQ™ offering refreshing local craft beers and seasonal BBQ-style appetizers. Every Four Points has a signature pub where guests and locals can enjoy the brand’s Best Brews and BBQ™ program. Best Brews provides guests with the opportunity to sample craft beers and enjoy authentic local flavors at the hotel pub, each brew strategically chosen for its unique flavor, popularity and quality ingredients. Along with their brew, guests are invited to indulge in seasonal, complimentary BBQ-style appetizers that reflect Four Points’ global footprint. Four Points by Sheraton Scotts Valley is travel re-invented. Designed for the smart independent traveler, Four Points offers a casual, relaxed ambiance where classic and industrial elements meet modern design, creating spaces that are sophisticated and comfortable in character. Four Points boasts approachable design and excellent service at an honest value. Just off of Highway 17, Four Points by Sheraton Scotts Valley is located at 5030 Scotts Valley Drive, Scotts Valley, CA 95066. Four Points by Sheraton Scotts Valley is proud to participate in the industry's award-winning loyalty program, Starwood Preferred Guest®. 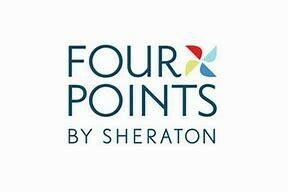 About Four Points by Sheraton – Four Points by Sheraton is a brand of upscale hotels targeted towards business travelers and small conventions. It is owned by Starwood Hotels & Resorts, which is a subsidiary of Marriott International. The group operate more than 300 hotels worldwide under the Four Points by Sheraton brand. Sheraton Hotels and Resorts introduced a new, upscale hotel brand, Four Points by Sheraton Hotels, to replace the designation of certain hotels as Sheraton Inns. In 1998, Starwood Hotels & Resorts Worldwide, Inc. acquired Sheraton, outbidding Hilton. In 2000, Starwood re-launched Four Points by Sheraton, now targeted as a premier, upscale five star hotel chain for business and leisure travelers. Each hotel offers a familiar place with an authentic sense of the local, friendly and genuine service where guests can relax and unwind, watch local sports, and enjoy the brand’s Best Brews and BBQ™ program. Four Points is proud to participate in the industry’s award-winning loyalty program, Starwood Preferred Guest®. Members can now link accounts with Marriott Rewards®, which includes The Ritz-Carlton Rewards®. About Marriott International, Inc. - The world’s largest hotel company with nearly 6,000 properties in 120 countries and territories, Marriott operates and franchises hotels and licenses vacation ownership resorts. The company’s 30 leading brands include: Bulgari®, The Ritz-Carlton® and The Ritz-Carlton Reserve®, St. Regis®, W®, EDITION®, JW Marriott®, The Luxury Collection®, Marriott Hotels®, Westin®, Le Méridien®, Renaissance® Hotels, Sheraton®, Delta Hotels by MarriottSM, Marriott Executive Apartments®, Marriott Vacation Club®, Autograph Collection® Hotels, Tribute Portfolio™, Design Hotels™, Gaylord Hotels®, Courtyard®, Four Points® by Sheraton, SpringHill Suites®, Fairfield Inn & Suites®, Residence Inn®, TownePlace Suites®, AC Hotels by Marriott®, Aloft®, Element®, Moxy® Hotels, and Protea Hotels by Marriott®. 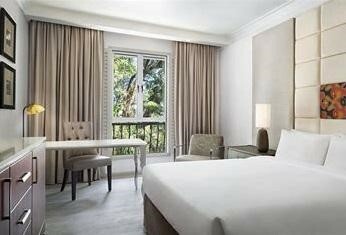 The company also operates award-winning loyalty programs including Marriott Rewards®, which includes The Ritz-Carlton Rewards®, and Starwood Preferred Guest®. For more information, please visit our website at Marriott.com.